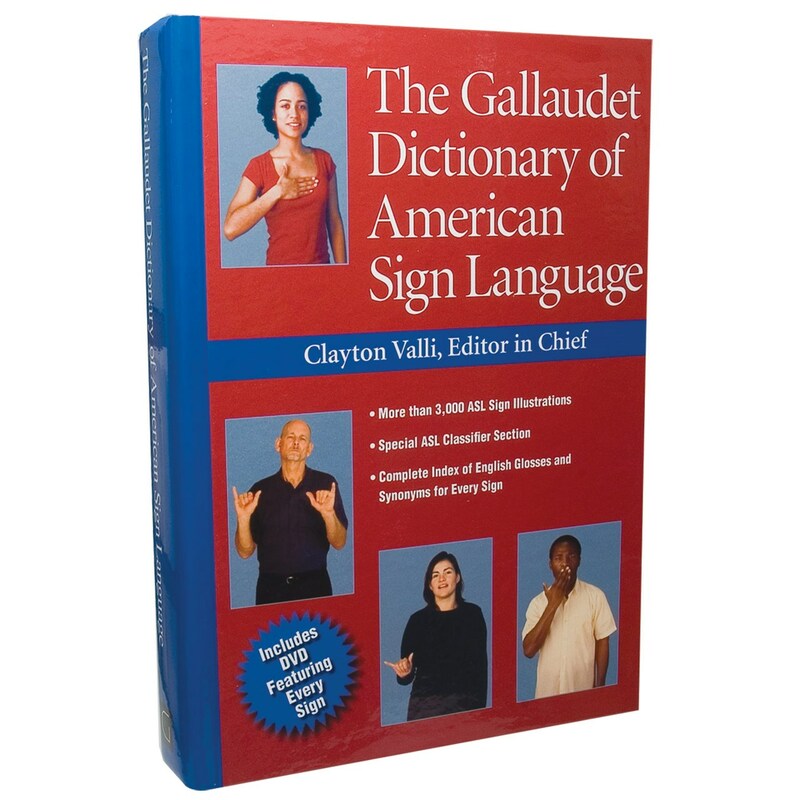 Created by an unparalleled board of experts led by renowned ASL linguist and poet Clayton Valli, The Gallaudet Dictionary of American Sign Language represents the culmination of more than five years of meticulous assessment and labor. 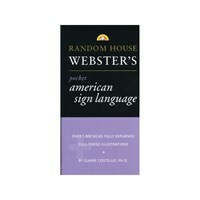 More than 3,000 illustrations arrayed in this volume display the most useful selection of signs to be found in any single ASL reference resource. Each sign illustration, including depictions of fingerspelling when appropriate, incorporates a complete list of English synonyms. 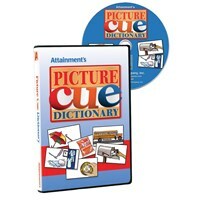 A full, alphabetized English index enables users to cross-reference words and signs throughout the entire volume. The comprehensive introduction lays the groundwork for learning ASL by explaining in plain language the workings of ASL syntax and structure. It also offers examples of idioms and describes the antecedents of ASL, its place in the Deaf community, and its meaning in Deaf culture. 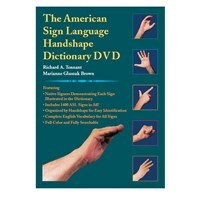 This extraordinary reference also provides a special section unique to this volume on ASL classifiers and their use. Readers will find complete descriptions of the various classifiers and examples of how to use these integral facets of ASL. 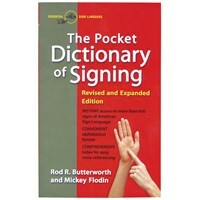 The full-color DVD included with this dictionary features a diverse group of native ASL signers demonstrating how to form each of the 3,075 signs. Fully searchable, users can view a sign and quickly go to its synonyms. 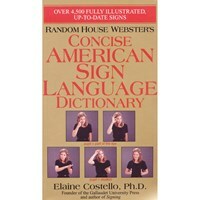 This and the many other exclusive features in The Gallaudet Dictionary of American Sign Language combine to make it the outstanding ASL reference for all instructors, students, and users of ASL. Clayton Valli was Assistant Professor in the Master's Interpreting Program at Gallaudet University, a renowned linguist who coauthored the Linguistics of American Sign Language, and also a gifted ASL poet. 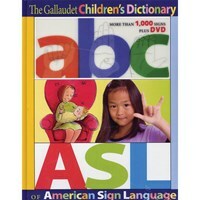 The Gallaudet Dictionary of American Sign Language is dedicated to his memory. 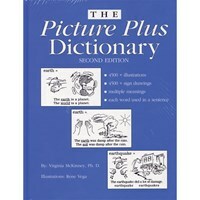 656 pages, 3,075 sign illustrations, index, full-color DVD. NOTE: DVD is only playable on a PC computer DVD drive. It will not play in a cd-rom player or on a DVD movie player used with your television.